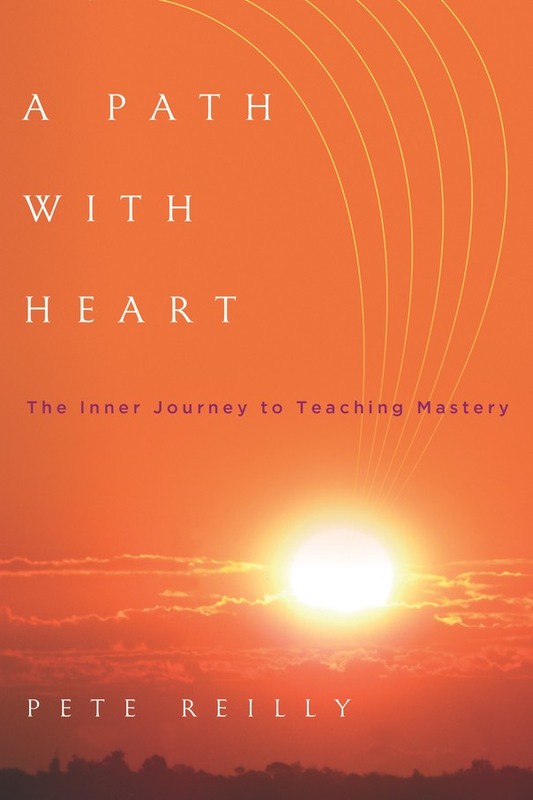 A Path with Heart is a book about who we are as teachers and as people and how those interconnected roles can help us to connect with our students. It's also a realistic look at the pressures teachers face. There are stories of delightful encounters with former students, but there are also stories of teachers completely losing it: sobbing in the hallway, biting a student's head off, even quitting midway through the year. “We’re definitely going to get triggered and thrown off center. We’re human beings, not zombies. We have feelings. We have reflexes." But we can learn techniques to calm ourselves and not (over)react to the stresses we face every day. Reilly provides nine practices at the end of the book, including several that are specifically designed for teachers. There’s also a page of “Reflections” and “Actions” at the end of each chapter, which could be used for journaling or discussion with peers, perhaps in a mindful teaching discussion group. Think of your students as mirrors. What are their actions reflecting back to you? Are there lessons you can learn from them? Create a Venn diagram with your most important agenda items, blended with your students’ agenda items. Where can you find potential overlap? Identify and connect with one student who seems indifferent to learning. What’s behind the indifference? What can you do to address the issue? Reilly gives the example of a boy who repeatedly refused to do his work: “We stopped thinking of him as a 14-year-old kid with a tough family life and looked at him as an obstacle to be dealt with.” It turned out the boy was reacting to the vicious beatings from his alcoholic father. We can't forget our own emotional needs, either, which may be having a surprising impact on our teaching. Reilly gives the example of a science teacher who was frustrated by the lack of student discussion--he eventually realized that he was nervously filling the silence rather than leaving a long enough pause for students to respond to his questions. In other words, the problem wasn't their indifference, but his own anxiety. So what is a Path with Heart? a sample mindfulness activity: “Trying on Different Shapes"
my favorite passage from the book, about an eye-opening experience with frustrated students.